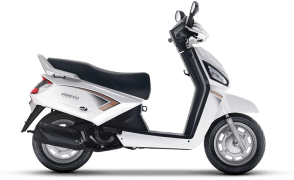 Mahindra Two Wheelers Ltd. recently launched its new 110 cc scooter named the Mahindra Gusto. The bike has been developed for Indian buyers at the Pune R&D facility of the Mahindra and will be exported to other markets in African, Latin American and south Asia. The Mahindra Gusto is available in two versions namely Gusto DX and Gusto VX costing Rs. 43,000 and Rs. 47,000 respectively (ex-showroom). 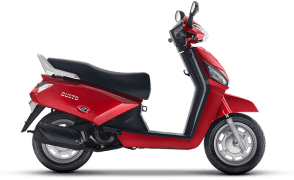 The Gusto uses a 109.6 cc, air-cooled, four-stroke,single-cylinder engine which produces a 8 BHP of maximum power at 7,500 of rpm value and the maximum torque value achieved is 7.84 Nm. Mahindra says the engine uses M-TEC engine technology which has been patented. 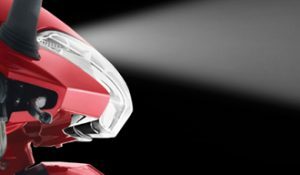 This technology helps the Gusto deliver a claimed average mileage of 63.50 KMPL, which is best in class. The fuel tank size has a 6-litre capacity, which is bigger than the usual. 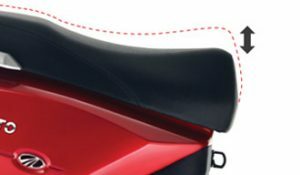 The Gusto VX sports an unique comfort feature, the height adjustable seat which can be adjusted by 35 mm up or down. Both wheels front and rear use drum brakes, 130 mm. 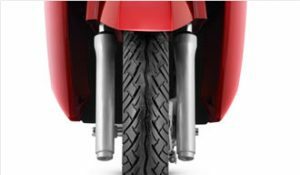 The ground clearance is 165 mm and the kick-pedal has been positioned so as to allow the rider to kick-start the vehicle while staying seated. 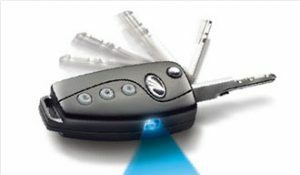 A number of tech features have been the Mahindras part of packaging in the offerings which applies in this new case as well here the list is comprised of remote flip key, find me head lamps, quick storage compartment etc. 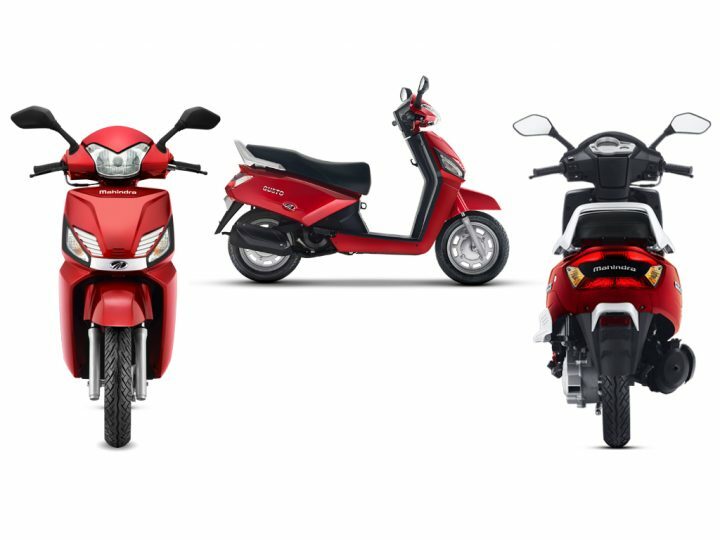 The Mahindra Gusto rivals the popular Honda Activa and in some areas, and has a upper hand like the engine which has a stronger crankshaft, anti cranking technology etc providing a smoother and efficient ride on the scooter. The name Gusto has been derived from the word gust meaning the strong winds implying a sense of freedom and speed with the new launch. The scooter will be launched in the rest of the markets in the coming months and the current introductory prices might go higher after the festive season.